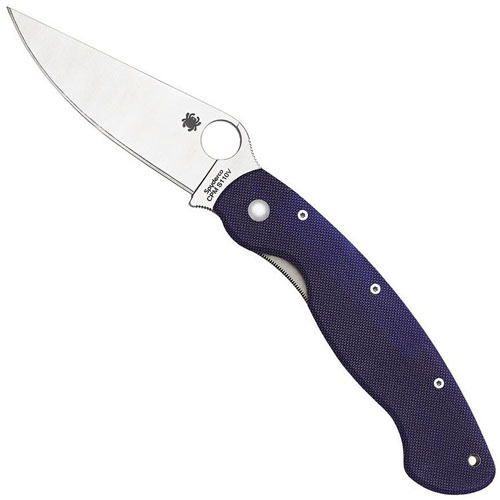 Originally created to meet the needs of deploying military personnel, the Military Model has since become one of Spyderco’s most popular and iconic knives. Its broad, full-flat-ground blade offers amazing edge geometry and cutting performance. An oversized Trademark Round Hole proudly identifies it as a Spyderco product and ensures swift, reliable, one-handed opening with either hand—even while wearing gloves. 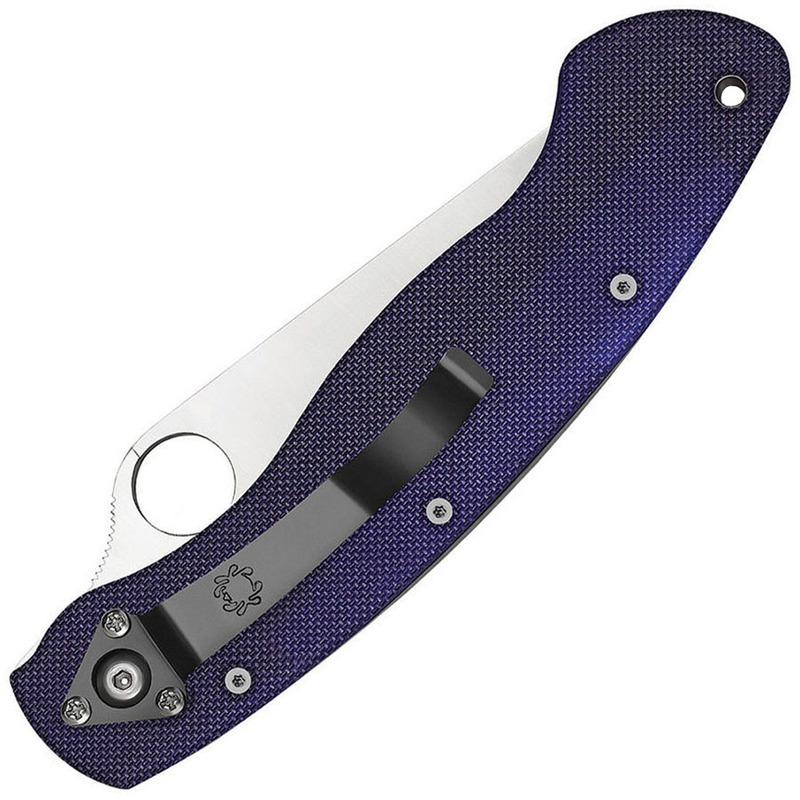 The blade is paired with a lightweight, open-backed handle construction that features textured G-10 scales, nested stainless steel liners, and a sturdy LinerLock mechanism. This elite version of the Military Model takes the performance of this advanced design to new heights with a blade crafted from Crucible’s CPM-S110V—a state-of-the-art stainless tool steel produced by the Crucible Particle Metallurgy (CPM) process. CPM-S110V’s high volume of vanadium and niobium alloys give it exceptional wear resistance, while its enhanced chromium content makes it extremely corrosion resistant. 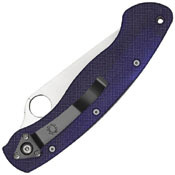 Like all the knives in Spyderco’s CPM-S110V family, the textured G-10 handle scales of this version of the Military are a distinctive dark blue color. To ensure convenient carry and immediate access, the handle also features an hourglass clip configured for right-side, tip-down carry.